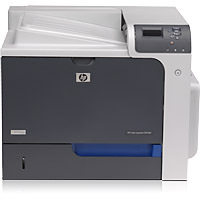 1ink.com carries the most affordable toner for HP Color LaserJet CP4525dn printers. Our remanufactured toner cartridge is guaranteed to perform flawlessly with your printer or we’ll refund your purchase price. Any large office will appreciate the quality and performance you get from these remanufactured HP toner cartridges. Every page you print will look exquisite – you’ll get professional-quality print work for a cheap toner price. You can use our toner with peace of mind, too, thanks to our comprehensive 12-month guarantee. 1ink.com’s cartridges are safe to use in your compatible laser printer and they’ll never void your warranty or produce inferior work. You’ll get the fast, impressive print performance you love while slashing your print costs and saving money! Our toner is just what your office needs. This remanufactured black HP 647A toner prints up to 8,500 pages and each remanufactured color HP 648A toner cartridge (in cyan, magenta, and yellow) prints up to 11,000 pages. You’ll also get all the stunning print quality of an OEM cartridge (original equipment manufacturer), only 1ink.com offers the lowest prices to help you manage your office budget.